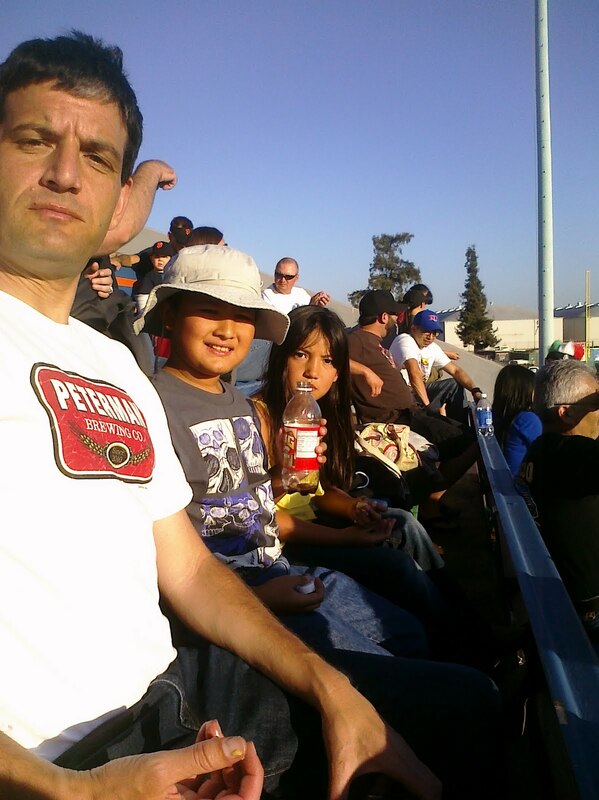 When my wife and I took our kids to the first base ball game to see the San Jose Giant’s beat the Visalia Rawhide last night, I found my a new favorite baseball team. 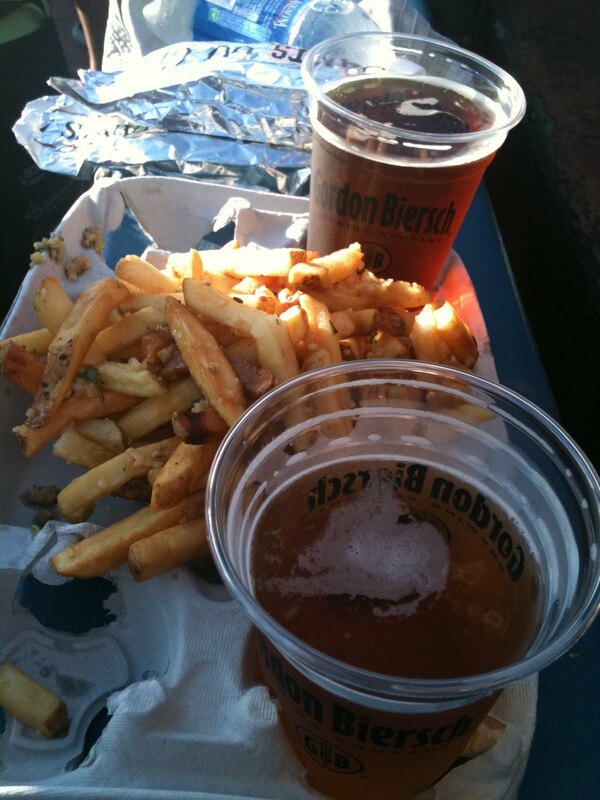 Can any baseball team in the majors or minors boast a better beer selection than San Jose Giants serve at their stadium? Seriously, you can find Sierra Nevada (Pale Ale and Summer Fest), Gordon-Biersch (Czech Pilsner and Marzen), Lagunitas IPA, Heineken, and the ever ubiquitous Budweiser and Bud Light at a stadium that seats maybe 5,000 people. 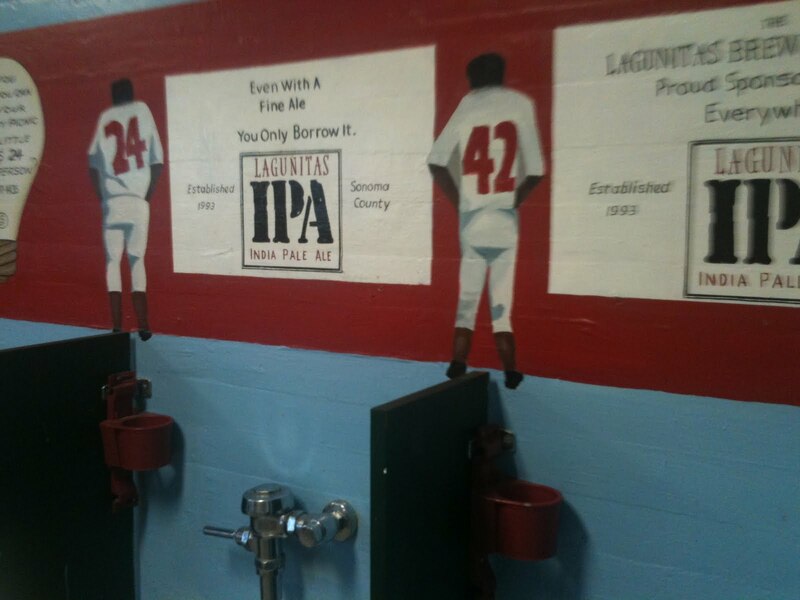 And in their own unique way, Lagunitas actually makes stadium restroom advertising a welcome sight. Before I moved to Chicago in 1980, my favorite baseball team was the Toledo Mud Hens, who played near my home town of Bowling Green, OH where I grew up in the 70’s. The great Mud Hen’s of the 70’s like Joe Lis, Cardell Camper, and Vassie Gardner mean little to even the most knowledgeable baseball fans, but they were my heroes as a boy. Vassie Gardner even taught me how to field a ground ball in a Little League clinic. The times Dad would take me to see the Mud Hens game were were memories any kid growing up should have. And so it was time to pass on that favor to my kids yesterday, and my wife and I took them to their first game hoping to create the same great memories for them. And I learned something. These are memories any father should have, too. they probably don't play in the same league but we love going to the Kansas City T-Bones games and gave up on the Royals years ago. T-Bones games are so much more fun and they used to play the Joliet Jackhammers (I don't think this time exists anymore?) and when they did, I would root for Joliet cause 1. it's close to Chicago 2. the only thing I know about Joliet is there's a prison there and 3. The Jackhammer was one cool mascot. Awesome way to tie-in beer, baseball, growing up, and fatherhood! Something funny..Vassie Gardner is my Dad. I am Vassie Gardner III and it looks like he taught you more then he ever taught me. I never even threw a ball with him, played catch etc…He left me, sister and mom by the time I was five and haven't seen or heard from him since. Hero I think not.